Adagio Maiden Grass is a graceful, swaying grass that is only 4 feet tall in leaf, and 5 feet tall when topped with its elegant golden seed-heads. The foliage is very narrow, and profuse, giving a fountain-like appearance to this plant. In fall the silver-green foliage turns attractive shades of yellow, orange and red, and this grass remains attractive all through winter. 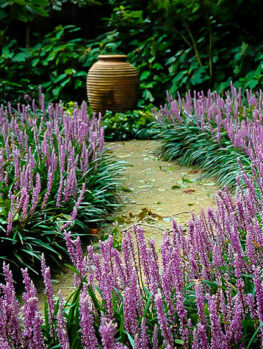 It is clump-forming, so it will not invade surrounding areas, and fits perfectly among flowering plants and shrubs. 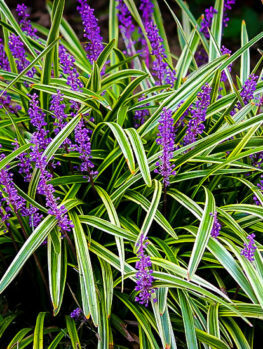 Use it to soften your planting arrangements, bringing beauty and flow as it bends gently in the breeze. This grass may look elegant and soft, but it is tough and hardy, growing in very windy locations, and staying upright even in snow. Plant it as a specimen in a lawn, among shrubs and flowers, as a single plant or in groups or drifts. It is tall enough to make a summer screen to hide something unattractive, and it even grows well in larger planters and containers, looking beautiful month after month. Plant Adagio Maiden Grass in a sunny spot, although it will tolerate a small amount of shade. 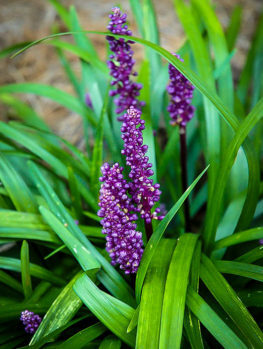 It thrives in almost any soil, and does best in moist, well-drained soil of all kinds. 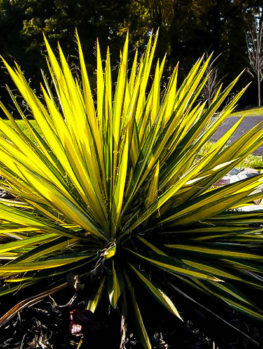 Once established plants are moderately drought tolerant. Cut stems back to a few inches tall in spring – that is the only care needed. In areas with heavy snow, cut back in early winter. This grass waits until the soil is warm before beginning to sprout. It has no significant pests or diseases. An annual organic mulch will conserve moisture and provide nutrients – no other care is needed. This fast-growing grass is a fantastic addition to any garden, no matter what style it is. 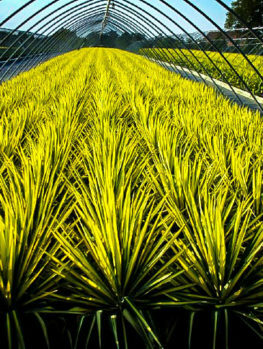 There are many different types of ornamental grasses, all with strong points, but Adagio Maiden Grass is certainly one of the most attractive, versatile and reliable of them all. It rapidly grows into a dense clump of narrow, arching foliage, decorated with plumes of beige seed heads, and the whole plants sighs and bends to the breezes in an elegant and charming fashion. 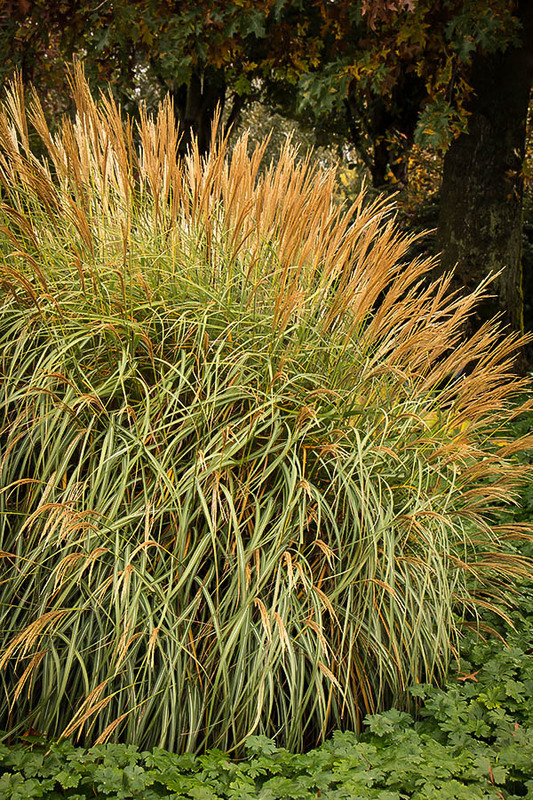 Maiden grass (Miscanthus sinensis) grows wild in Japan, China, Korea and Taiwan. 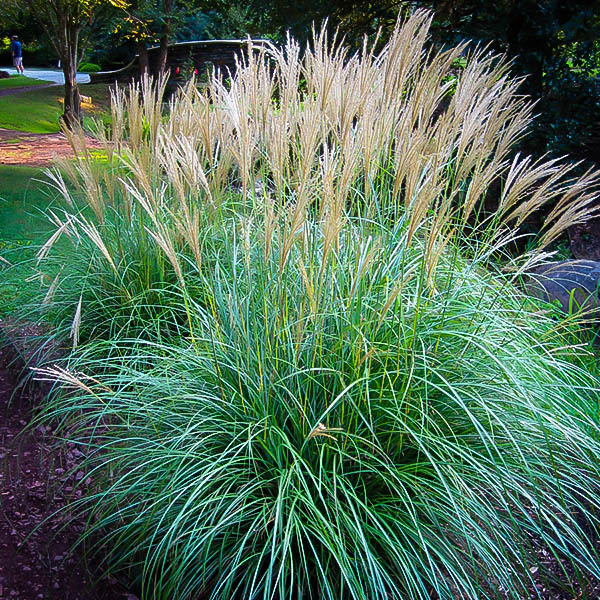 It is clump forming, unlike the similar but much taller Silver-grass (Miscanthus sacchariflorus) which is invasive and not recommended for garden use. 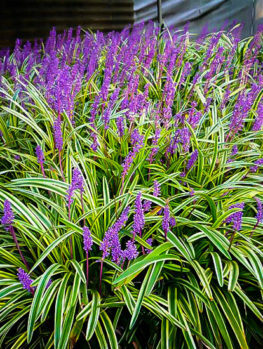 Maiden grass is an ideal grass for gardens, since it stays in dense clumps, without spreading at all. The form, ‘Adagio’, which is smaller, also has narrower leaves than the wild plant, was selected by Kurt Bluemel, a German-born nurseryman from Maryland, who is often called the ‘King of Grasses’ for his importance in making grasses an integral part of modern gardens. Adagio Maiden Grass is a clump-forming grass – it does not spread or become invasive. It forms a dense clump of many narrow leaves, less than ½ inch wide and silvery-green in color. These rise almost straight up and then arch over, creating a fountain-like effect. The grassy clump is about 4 feet tall. By the middle of August, flowering stalks are beginning to rise from the clump, and these grow up to about 5 feet tall. They branch into clusters of seed heads, that begin pinkish green and soon become soft beige tones. These plumes persist throughout fall and into winter, often standing well even after snow has fallen. In fall the leaves take on subtle tones of orange, gold and burgundy, especially in colder areas. The great thing about Adagio Maiden Grass is that it can be used in any part of your garden. Plant it around your home, or as a specimen in a lawn. Plant individuals or groups among shrubs or flowering plants. 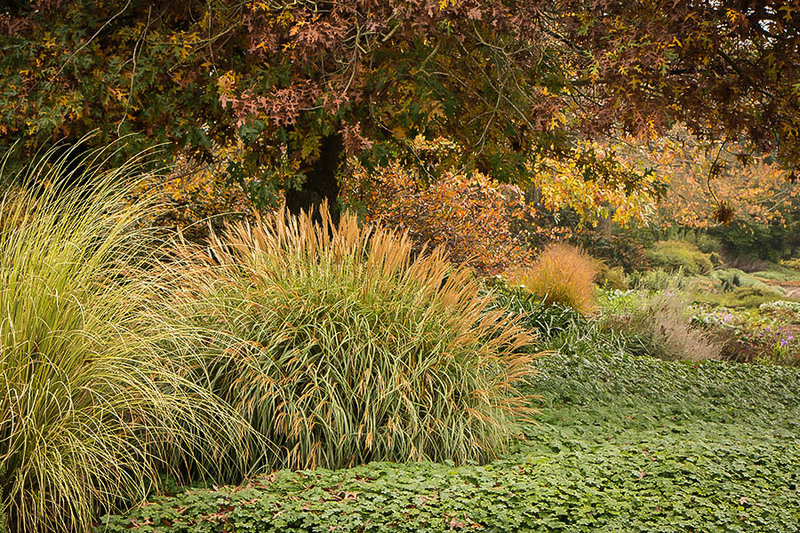 Make attractive beds entirely from a variety of ornamental grasses – a very modern and beautiful way to display these wonderful plants. Use it in large containers or planter boxes. Make an informal hedge from a row of plants, or group them to hide meters and air-conditioning units in your garden. Because it is resistant to wind, it is an appropriate choice for open, exposed sites and coastal areas. Plant Adagio Maiden Grass in a sunny place. It will tolerate some light shade, but too much shade will cause weaker, floppy growth and limit flowering. It grows well in most kinds of soil, but it is most vigorous in moist, well-drained soil. 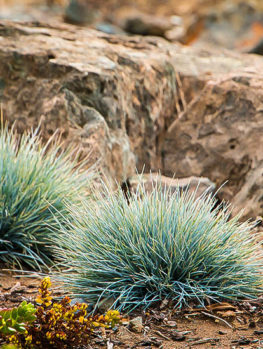 Once established plants are moderately drought-tolerant, and they are very resistant to strong winds and snow. It is certainly hardy in zone 5, and probably hardy to zone 4, especially if you normally have persistent snow cover throughout winter in your area. It has no significant pests or diseases, and this grass is easy to grow. Adagio Maiden Grass needs very little care. Water regularly for the first season, and growth will be rapid. 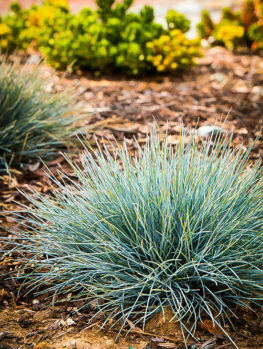 Once established it is moderately drought resistant, but watering during hot, dry periods is beneficial, and the application of organic mulch around the plant in spring will help conserve moisture and provide nutrients for optimal growth. This grass should be cut down to 3 inches tall each year. This can be done in fall or spring, and most gardeners leave it until spring to enjoy the winter effect of this beautiful plant. Maiden grass is a warm season grass. This does not mean it is not cold-hardy – it is hardy into zone 4. Its means that growth does not develop early in spring, but only once the soil has warmed up. Since new growth is slow, you do need to rush to cut it down in spring, before new growth emerges – there is plenty of time. Do not worry, your plant is alive. Because this grass is naturally later developing, you can plant flowering bulbs around it for spring interest, without affecting its growth. If you need to move this grass around the garden, only do this during late spring, when the new growth is visible. Moving dormant maiden grass can kill it. Our plants are from Kurt’s original selection, and should not be compared to cheaper, seedling maiden grasses, which are taller and much less attractive. This dwarf grass is a premium choice for many knowledgeable gardeners and it will not be with us long so order now while our limited stock lasts! You may also want to consider planting the original Maiden Grass variety, which we also carry.